The first, sure step towards automatic bottling. Polaris Automazioni designed the B1 line for small producers looking to automate their production, starting with filling and capping. SIZE CHANGEOVER > 5 - 10 min. It is able to handle any shape of bottle: cylindrical, square, triangular, small jars, flasks, shaped bottles etc. from 100 cc to 2 L.
The bottle size changeover involves just a few simple adjustments and without having to replace machine parts, in just 5-10 minutes. 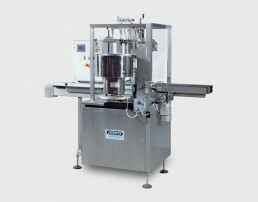 It has a nominal production capacity of 400-500 bottles/hour, easily adjustable to run also at lower speeds. The machine is a Monobloc unit made entirely in AISI 304 stainless steel (parts coming into contact with the product in AISI 316 available on request). 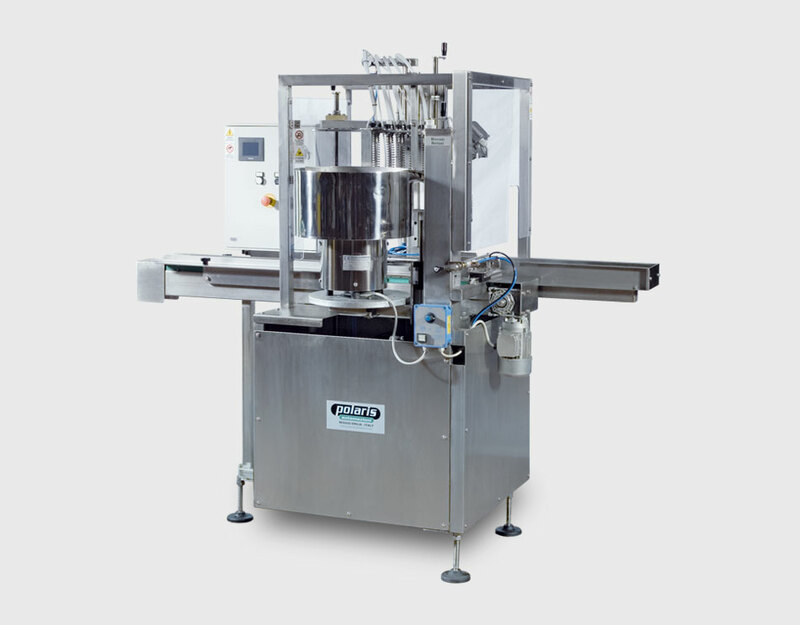 FILLING MACHINE 5-nozzle filler with vacuum directly in the bottle, complete with product feeding system which uses a cycle within the filling machine fitted with a Venturi tube to automatically draw it up from the customer's storage tank, without the need for a pump. The machine has an automatic internal cleaning programme with pipe/false bottles. CAPPER Capping unit for screw or press-on caps with a 400 mm diameter cap feeding hopper. NOTE: The machine can be connected to a stand-alone labelling unit, even as a retrofit. The B1 line can be highly customised and its configuration always matches the specific bottling needs of the user, as different heads can be added (also retrofit).